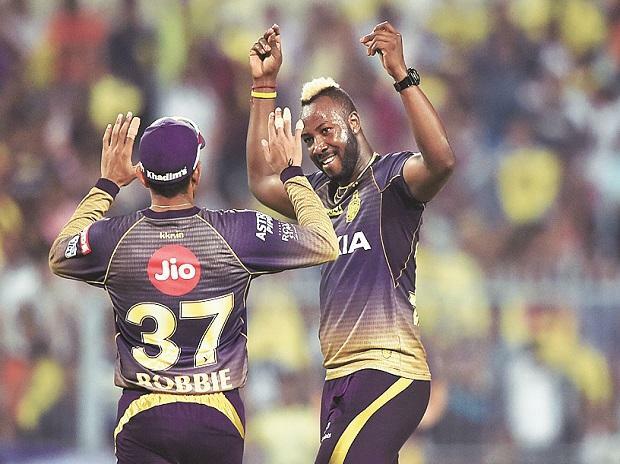 The opening weekend of the 2019 edition of the VIVO Indian Premier League attracted 219 million viewers, which was 31 per cent higher than last year’s opening weekend. The viewership data is from those above two years of age across urban and rural markets. The opening day match resulted in a 30 per cent growth in reach in the Hindi speaking market while in south the reach grew by 20 per cent. The overall reach of the opening day match was 133 million viewers, the highest among the first three matches. 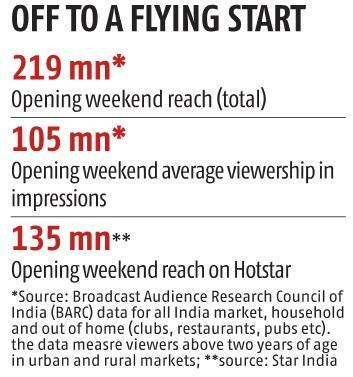 Apart from the robust growth in reach, viewership (as measured by impressions) also grew by 29 per cent (105 million) according to BARC Preview Report viewership data provided by broadcaster Star India. Impressions refer to the number of people watching the tournament at any given point in its telecast. He said the response has been very good despite the opening match being a low-scoring one, and the migration to the new Telecom Regulatory Authority of India-mandated tariff order regime. Star India’s distribution team has been working closely with distributor platforms to make sure Star’s sports channels are included in base packs wherever possible. Last year, the Hindi speaking market saw some dip in IPL’s reach, even as the south markets saw a significant jump, thanks to Star India’s regionalisation efforts. While this year the network has dedicated sports channels in three languages – Bengali, Tamil, and Kannada — for the regional language telecast of the IPL, it has also introduced innovations for the Hindi feed, which add an element of entertainment in addition to cricket. The tournament is also available live on the network’s streaming platform Hotstar. The opening weekend of the IPL this year saw 135 million viewers tune in on the platform, a 2.2x growth over last year’s opening weekend numbers, says Star India.